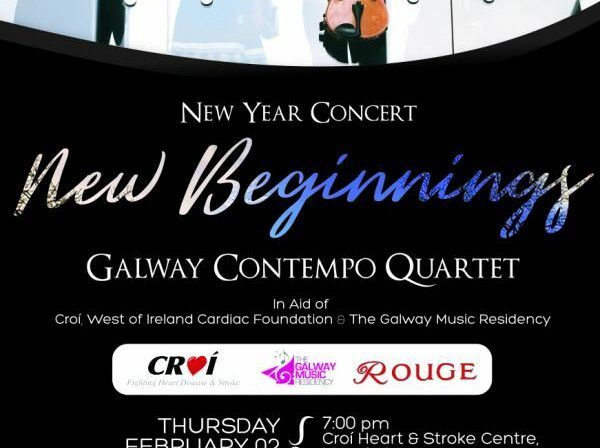 Croí are delighted to welcome and host the event at Croí House, Newcastle, Galway Thursday February 2nd at 7pm. Wine and canapes on arrival by Rouge Restraunt. Tickets €25 can be purchased here. Golden Ticket Draw – Winners! Croí Golden Ticket Draw took place Monday 19th December 2016 at Croí House, thank you for your support. Posted in NewsLeave a Comment on Golden Ticket Draw – Winners! "I shouldn’t be writing this letter. I shouldn’t actually still be alive despite the fact that I have always had perfect health and have everything to live for, including five beautiful children. Out of the blue I got sharp chest pains during my normal Sunday morning run – I had a spontaneous coronary artery dissection, one of the known causes of Sudden Adult Death Syndrome. 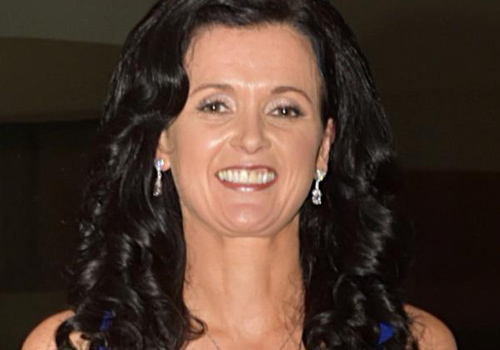 I was rushed to the coronary care unit at Galway University Hospital and by that evening I was being told that I wouldn’t survive another ten days without surgery. That surgery turned out to be a quadruple bypass; my surgeon Mr Dave Veerasingam told me it was the worst heart he’d seen in his twenty five year career. And if you think that sounds like a nightmare, that’s nothing. What’s far, far worse is what my family went through. I don’t remember a thing about those weeks, as I inched my way back to life. But if I could have been a guardian angel over my family during that time I would have given them the two things that Croi gave them in my absence; amazing support and a place to stay, minutes from the hospital so that the family could rest and stay by my bedside on rotation without worrying about hotel bills, long journeys and difficult changes to routine. You see the family support accommodation that Croi offers is more than an apartment. It’s a haven where, during the worst nightmare of your life, you can rest a while, cry a little, and try to maintain some sense of normality – for the kids if not for yourself. You do not realise how important it is to have your family close by, until it is the only thing that might be keeping you alive. I will never be able to thank Croi and all the staff at the cardiac unit in Galway enough. Though I do try. I’ve raised over €4,000 for Croi this year and now I am volunteering with their Golden Ticket Draw which is a major fundraiser for Croi each year. It’s more than a raffle – it’s providing vital support for victims of heart attack and stroke. Don’t make the mistake of thinking that means someone else, somewhere else. I was a young mother of five. I was perfectly healthy. I shouldn’t be writing this letter – but I’m glad I can. I hope you can help by buying or selling some raffle tickets. After all it’s nice for family to be together at Christmas, but it’s vital for family to be together in a crisis. Please support this very worthy cause." Croi's Golden Ticket Draw takes place Friday 16th December 2016, buy your ticket here and support the work carried out by Croi. Within 20 minutes your blood circulation will improve, your heart rate and blood pressure will lower – immediately reducing your risk of heart attack. Within 1 year your chance of a heart attack drops by half and within 10 years the risk drops to almost the same as a non-smoker. 150 minutes of moderate intensity exercise per week can reduce your risk of heart disease and stroke by 30% and regular moderate exercise has been proven to reduce your risk of dying from breast cancer by up to 50% and colon cancer by up to 60%. Many of us fall into bad habits, which can be compared to a cosy bed on a cold morning – easy to get into, but hard to get out of. No matter what challenges we face in life, there will always be barriers, but it is how we overcome our barriers that matters. You have the power to choose to approach exercise in a positive and optimistic way. If you’re not regularly active, start with small steps by taking a 30 minute walk every day*. Exercise is often about finding the thing you enjoy, whether it’s walking, running, cycling, hiking, yoga, a team sport, whatever – once you’re getting your 150 minutes of exercise into your week, you’re immediately taking the right steps to better health. Read more top tips to help you create an active habit! *Remember to always consult your GP before engaging in physical exercise. Key numbers to track for your heart health include Blood Pressure, Cholesterol, Body Mass Index (BMI), and Waist Circumference. By aiming to achieve the recommended target levels listed here, you can reduce your risk of heart disease and stroke by as much as 90%. This year get to know your numbers. Get your blood pressure and cholesterol levels checked. 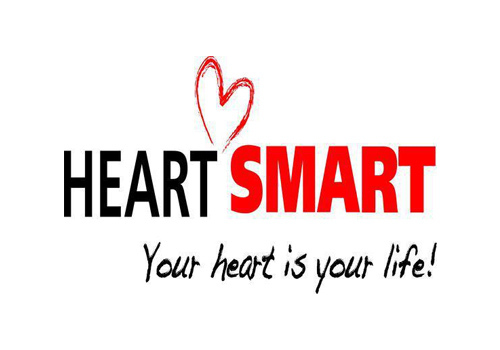 Knowing your numbers will help you to identify and prevent risk of heart attack. Known as the ‘silent killer’, high blood pressure rarely causes any signs or symptoms, therefore the only way to detect the condition is to have your blood pressure checked. The good news is that blood pressure (BP) is easily measured, with little discomfort and Croí recommends that everyone should get their blood pressure checked at least once every year. The Mediterranean diet is a heart-healthy eating plan based on all the classic foods and beverages that were consumed in the countries bordering the Mediterranean Sea in the 1960s. The diet is focused on more good fats (monounsaturated & polyunsaturated fats), less bad fats (saturated & trans fats) and overall more fresh than processed food items. It is important to note that the Mediterranean diet is not a weight-loss diet but rather a way of eating that can lead to weight loss and overall better health. Researchers have shown that the Mediterranean diet protects against cardiovascular diseases, cancer, diabetes, Alzheimer’s and Parkinson’s disease. Aim to ensure you get a healthy balanced diet by eating lots of fruit and veg, lean meat & fish with your meals, while reducing saturated fats, refined sugar and processed foods. For many people, January is a time to take a break from alcohol and rejuvenate after the long party season. By reducing your alcohol intake full stop all year round, you will do your heart health good. Drinking alcohol can cause abnormal heart rhythms, high blood pressure and damage to the heart muscle. 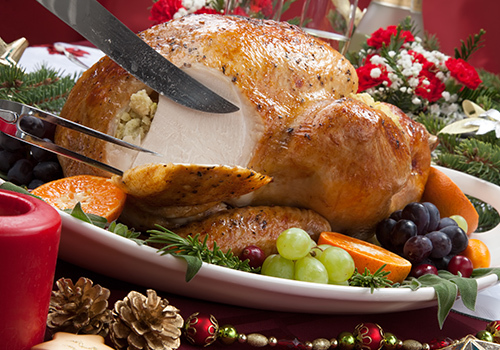 If you are using a frozen turkey, make sure it is completely defrosted before roasting. Remember to handle your turkey as little as possible, and wash your hands thoroughly as well as any surfaces that come into contact with raw poultry and most importantly, don't wash your turkey. 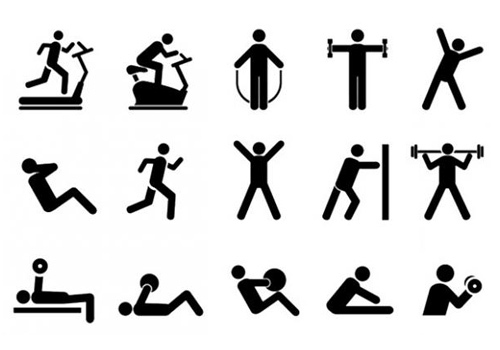 Exercise as an antidote for excessive sitting? Can an hour of brisk walking counteract the downsides of sitting for most of the day? Maybe, according to a study published online July 27, 2016, by The Lancet. Earlier research has linked physical inactivity and excessive sitting to a higher risk of heart disease and early death. The new study analyzed data from 13 studies involving more than one million adults, mostly ages 45 and older. Studies like these that follow people over time can't prove cause and effect, since it's not possible to account for the many factors that affect a person's risk of dying. But the findings are a good reminder to avoid sitting too much and to be as active as possible. Posted in Health BlogLeave a Comment on Exercise as an antidote for excessive sitting? Staying physically active as you move from middle age into your 70s can keep your heart in good shape, new research suggests. With age, the heart's main pumping chamber, the left ventricle, tends to thicken. Both ventricles may also stiffen and not fill with blood properly—a condition known as diastolic dysfunction. But getting ideal amounts of physical activity (at least 150 minutes per week of moderate activity or 75 minutes of vigorous activity) may help prevent this problem, according to a study in the August 2016 European Heart Journal. The study included 4,342 adults who were ages 45 to 64 when the study began in the late 1980s. Researchers periodically tracked their activity levels via questionnaires over a 24-year period and measured their heart function with specialized heart ultrasounds near the end of the study. 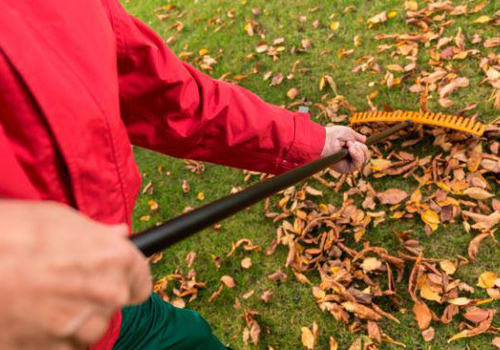 About half of the participants (average age now 76) met the criteria for ideal amounts of leisure-time physical activity, such as walking or doing gardening or yard work, but nearly 30% reported doing no physical activity at all. However, boosting activity levels even later in life seemed to offset age-related changes in heart function, the researchers found. Posted in Health BlogLeave a Comment on Staying physically active as you move from middle age into your 70s can keep your heart in good shape, new research suggests. Maybe you plan to ring in 2017 with a new resolve to quit smoking, lose weight, exercise more, not sweat the small stuff. 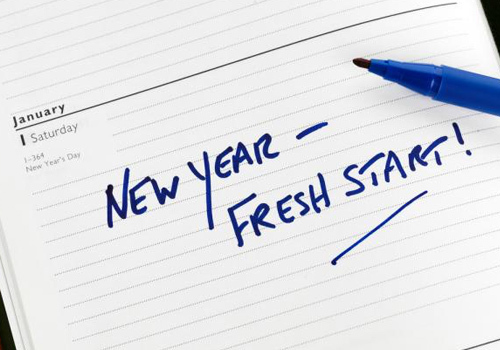 And maybe these resolutions sound familiar — maybe just like the ones you made a year ago! So how can you ensure that your determination to get healthier in 2017 sticks around past Valentine's Day? By creating new habits. Creating new habits takes time and energy. A new behavior won't become automatic overnight, but you may enjoy some of its benefits fairly quickly. Also, as you start to take walks regularly or engage in stress-soothing practices frequently, you'll find you won't feel quite right if you stop. That's a great incentive to continue. So, keep nudging yourself in the direction you'd like to go. And try the following seven tips to help you create long-lasting change. 1. Dream big. Audacious goals are compelling. Want to compete in a marathon or triathlon? Lose 50 pounds or just enough to fit into clothes you once loved? With perseverance, encouragement, and support, you can do it. An ambitious aim often inspires others around you. Many will cheer you on. Some will be happy to help in practical ways, such as by training with you or taking on tasks you normally handle in order to free up your time. 2. Break big dreams into small-enough steps. Now think tiny. Small steps move you forward to your ultimate goal. Look for surefire bets. Just getting to first base can build your confidence to tackle — and succeed at — more difficult tasks. Don't disdain easy choices. If you start every plan with "Make list," you're guaranteed to check one box off quickly. That's no joke: a study on loyalty programs that aim to motivate consumers found giving people two free punches on a frequent-buyer card encouraged repeat business. So break hard jobs down into smaller line items, and enjoy breezing through the easy tasks first. 3. Understand why you shouldn't make a change. That's right. Until you grasp why you're sticking like a burr to old habits and routines, it may be hard to muster enough energy and will to take a hard left toward change. Unhealthy behaviors like overeating and smoking have immediate, pleasurable payoffs as well as costs. So when you're considering a change, take time to think it through. You boost your chance of success when the balance of pluses and minuses tips enough to make adopting a new behavior more attractive than standing in place. Engaging in enjoyable aspects of an unhealthy behavior, without the behavior itself, helps too. For example, if you enjoy taking a break while having a smoke, take the break and enjoy it, but find healthier ways to do so. Otherwise, you're working against a headwind and are less likely to experience lasting success. 4. Commit yourself. Make yourself accountable through a written or verbal promise to people you don't want to let down. That will encourage you to slog through tough spots. One intrepid soul created a Facebook page devoted to her goals for weight loss. You can make a less public promise to your partner or child, a teacher, doctor, boss, or friends. Want more support? Post your promise on Facebook, tweet it to your followers, or seek out folks with like-minded goals online. 5. Give yourself a medal. Don't wait to call yourself a winner until you've pounded through the last mile of your big dream marathon or lost every unwanted ounce. Health changes are often incremental. Encourage yourself to keep at it by pausing to acknowledge success as you tick off small and big steps en route to a goal. Blast your favorite tune each time you reach 5,000 steps. Get a pat on the back from your coach or spouse. Ask family and friends to cheer you on. Look for an online support group. Or download the "Attaboy" app for your iPhone or iPod to enjoy a stream of compliments whenever you need to hear it. 6. Learn from the past. Any time you fail to make a change, consider it a step toward your goal. Why? Because each sincere attempt represents a lesson learned. When you hit a snag, take a moment to think about what did and didn't work. Maybe you took on too big a challenge? If so, scale back to a less ambitious challenge, or break the big one into tinier steps. If nailing down 30 consecutive minutes to exercise never seems to work on busy days, break that down by aiming for three 10-minute walks — one before work, one during lunch, one after work — or a 20-minute walk at lunch plus a 10-minute mix of marching, stair climbing, and jumping rope or similar activities slipped into your TV schedule. 7. Give thanks for what you do. Forget perfection. Set your sights on finishing that marathon, not on running it. If you compete to complete, you'll be a winner even if you wind up walking as much as you run. With exercise — and so many other goals we set — you'll benefit even when doing less than you'd like to do. Any activity is always better than none. If your goal for Tuesday is a 30-minute workout at the gym, but you only squeeze in 10 minutes, feel grateful for that. It's enough. Maybe tomorrow will be better. We often eat in response to our feelings. Other than hunger we eat due to boredom, loneliness, happiness, sadness or anger. Excessive eating can result in weight gain. Identifying triggers and learning self-control helps prevent lapses and will aid weight management. 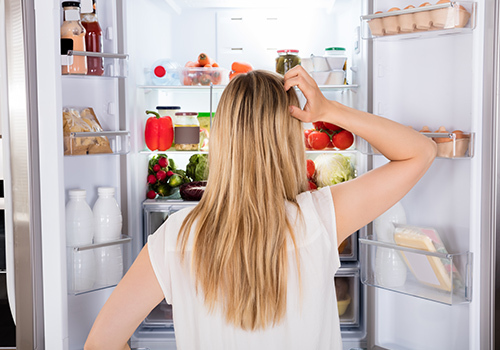 Becoming aware of the signs of physical hunger and emotional hunger will help you cope with eating when only truly hungry. You are eating to fill a void that isn’t related to an empty stomach. You crave unhealthy foods such as pizza or ice-cream and only that food will meet your need. 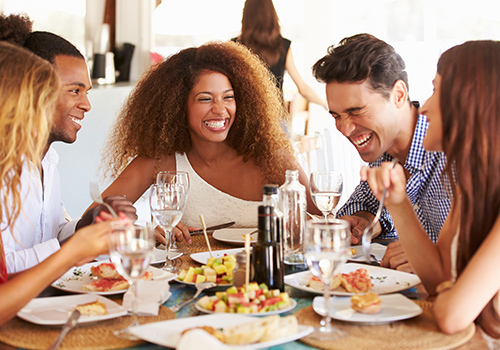 You are more likely to keep eating even when you are full. Emotional eating can leave you feeling guilty. You eat because you are hungry, you are open to options. When you eat because you are hungry, you are more likely to stop when you are full. No feelings of guilt after you have eaten. Make a ‘trigger’ list – what causes you to emotionally eat? Make a list of distractions – what can you do instead of eating, e.g. go for a walk, phone a friend or listen to music. If you continue to struggle with emotional eating – consider seeking professional help.